Here’s a picture, as you can see, scout like, but not quite. On the EDF i am building i am trying to figure out where to put the inlets. Should i put the back of the inlet 1" from the front of the EDF or closer to 6" from the EDF? Is there a calculation for this? Thanks! It doesn't really matter how far away the inlet is from the EDF as long as the air has a smooth passage without any abrupt changes on its way to the EDF. The exhaust however, should at least be as far away as 4x the fan diameter. Okay, let's try this, I'm going to try to add plans for the scout-stick on here, let's see if I can figure this out. EDIT: BTW, you have to have google sketchup to open these plans. Congrats on the new radio. My son and I moved to Qx7's from spectrum this fall. Great radios. Are you familiar with OpenTX? If not check out this playlist from Painless360. Most anything you'll ever need to know about programming your radio. I had a quick look at the menus, having used a flysky radio for years it doesn't look too complicated. I like your launcher! Could you show some video of its operation and construction? Perhaps include its dimensions. And the plane sizes it can accommodate? That's good news. Coming from spectrum Opentx was like learning a new language. Busy cutting out a P-51D Mustang! What size 1s do you recommend? I bought 220's w/o knowing anything about FPV or the camera and they seem to die pretty quick. 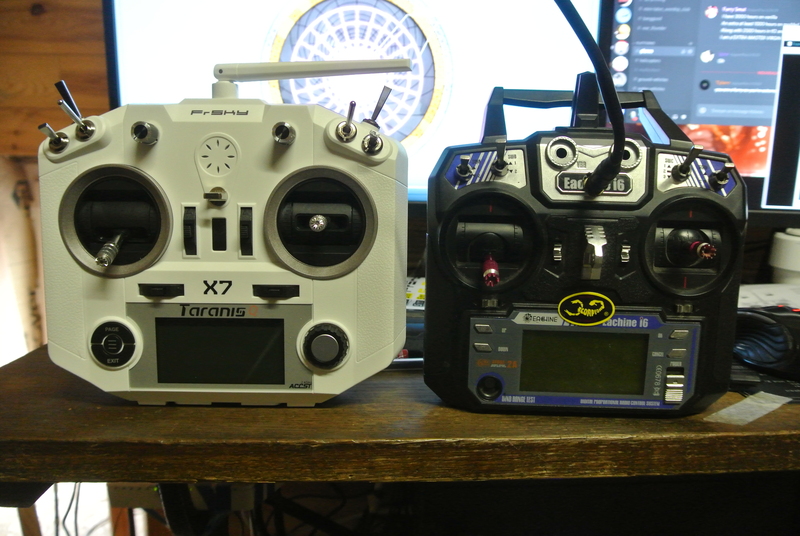 I use 150's and they give me 10-15 minutes of solid FPV signal, i think it has more to do with the C's (though i am not positive). I have to 150's with different C ratings and the one with higher C rating usually seems to give me more flight time although i could just be imagining it. Flitetest should do another FT design EDF, maybe a T-38 that would be a great trainer EDF and also, the T-38 doesn't have to many complicated curves. Anyone have any good ideas or recommendations for FT legacy paint schemes? I just can't decide on one. Thanks, also does FT have any plans for FT legacy floats? 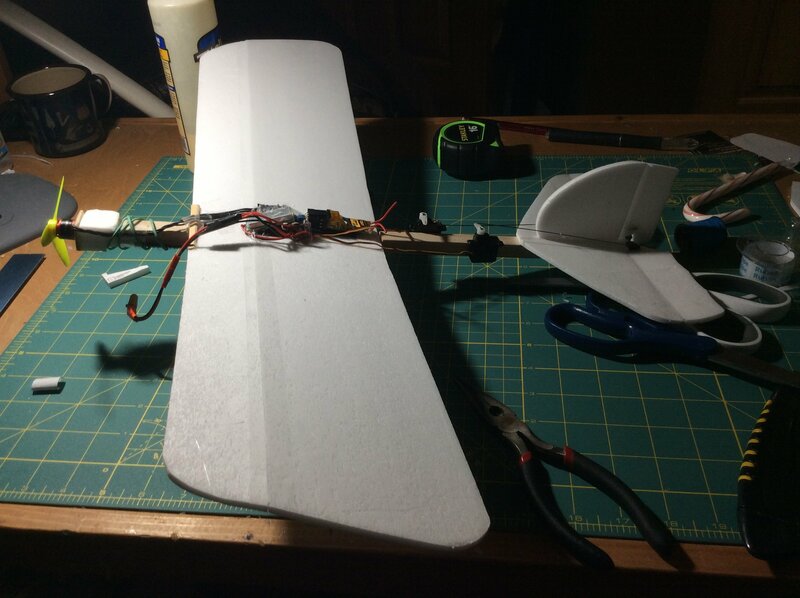 It probably crashed going close to 100kph (I got 94kph on level flight the previous flight) and the only damage is one aileron that ripped off so I can say that this airframe is solid. The reason of the crash is that the fpv feed was kinda crap, the video was rather grayish and distorded by the canopy so I didnt see the ground. Ouch. at least it was minimal, and it wasn't a tree. Can a thrust tube be square or must it be circular? If you are talking about a thrust tube for an EDF then yes. It can be square, as long as your exit area is around 80-85% FSA. Although since the square tube will have hard corners some turbulence will occur which will cause you to lose a bit of thrust, I don't think you will lose enough to make a difference in flight. Whatever you do post your results! !